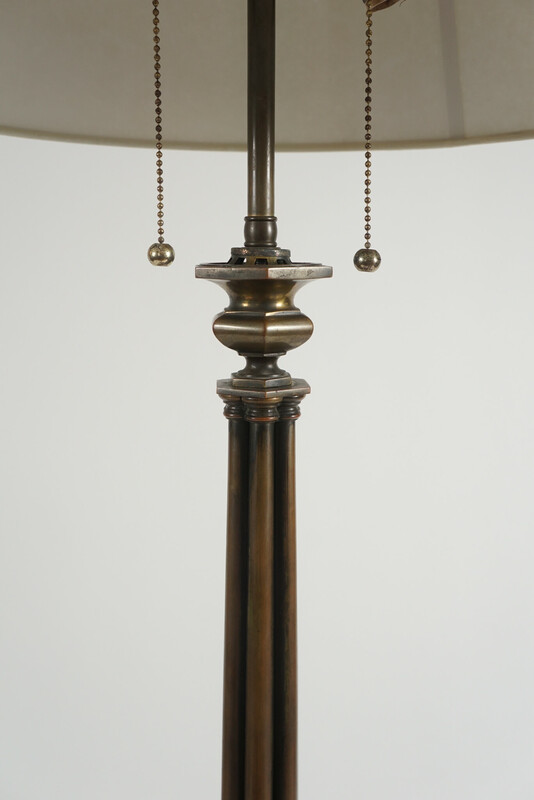 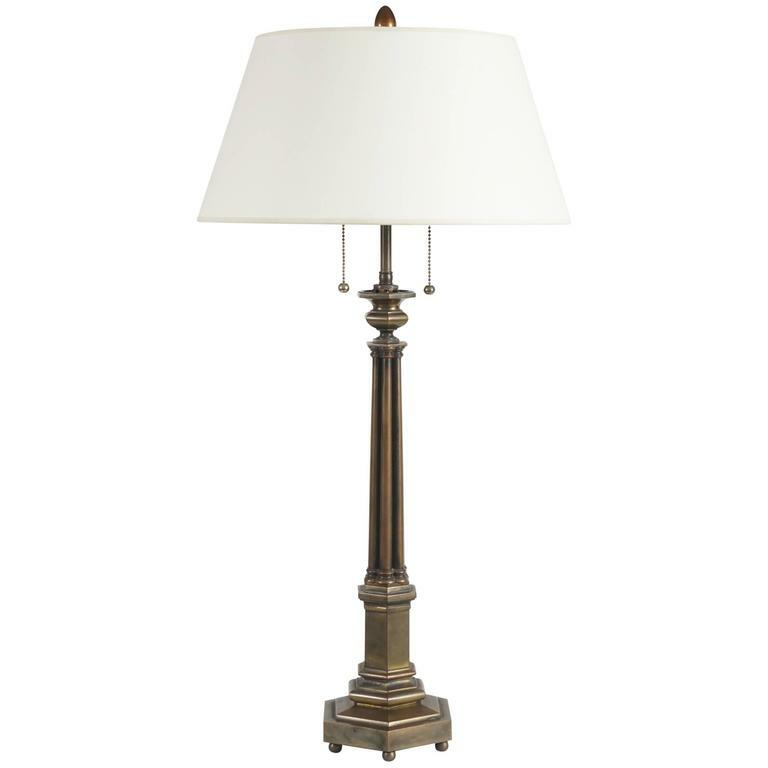 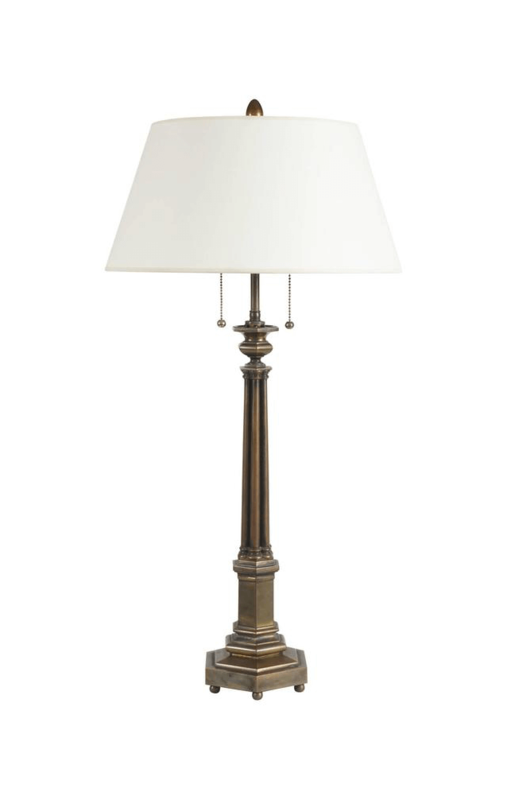 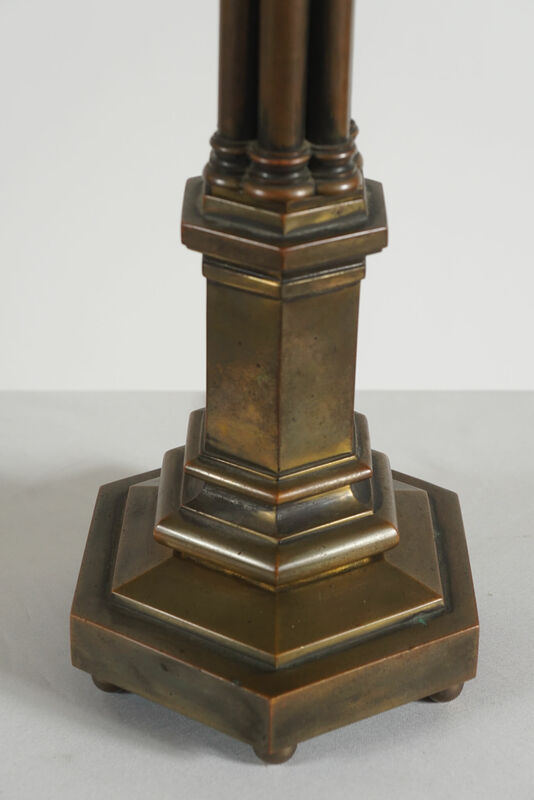 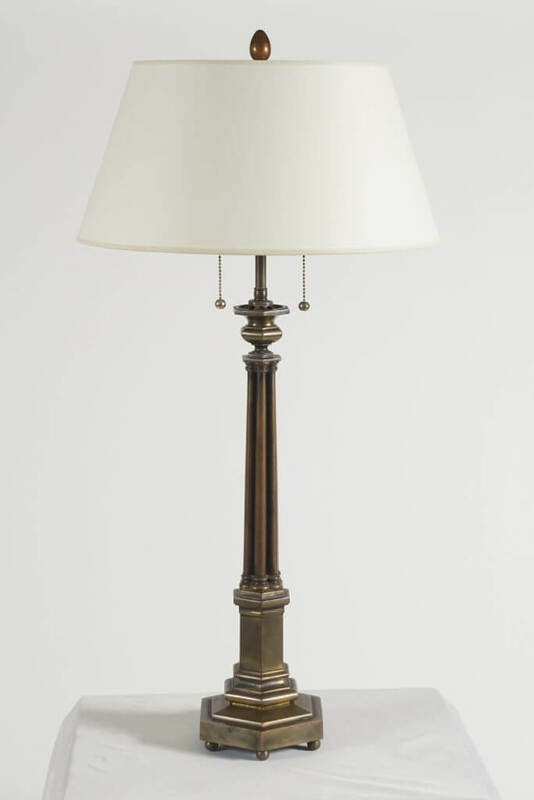 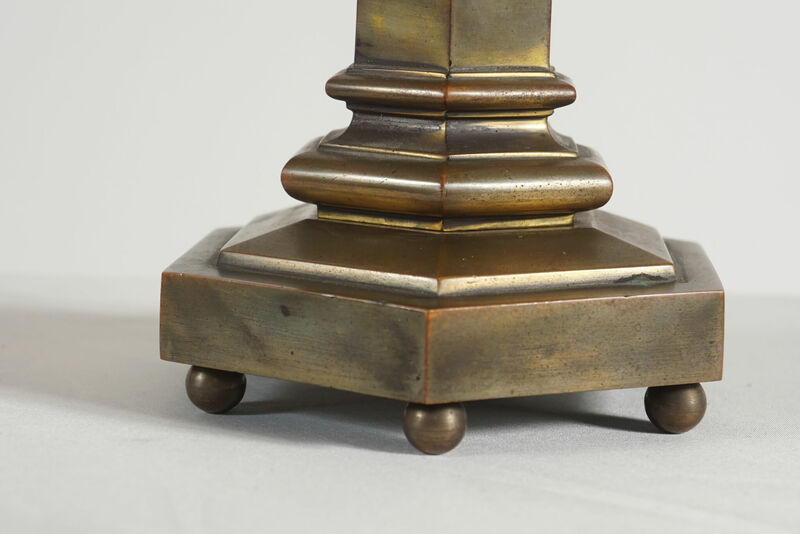 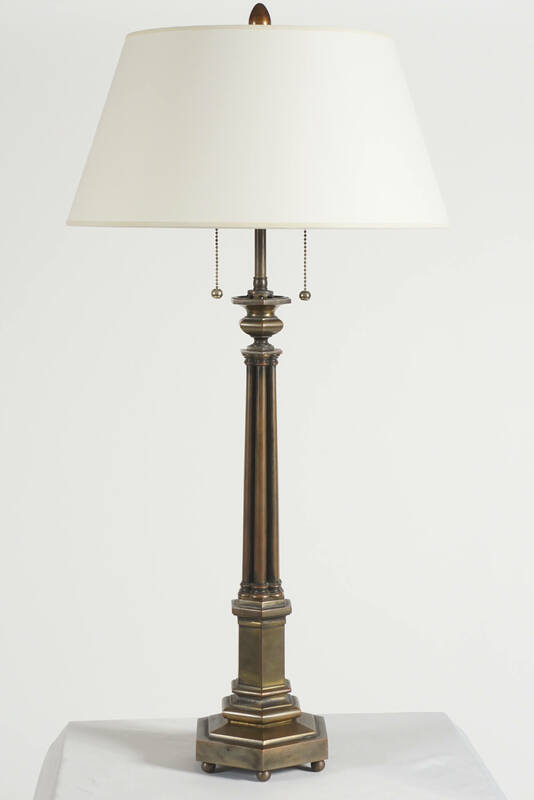 An elegant, circa 1840 solid bronze table lamp of hexagonal form with urn surmounting clustered column on stepped plinth base on ball feet by the Boston, Massachusetts firm of Henry N. Hooper & Company, a leading purveyor of lighting fixtures in mid-19th century Boston, active from 1831 to 1868. 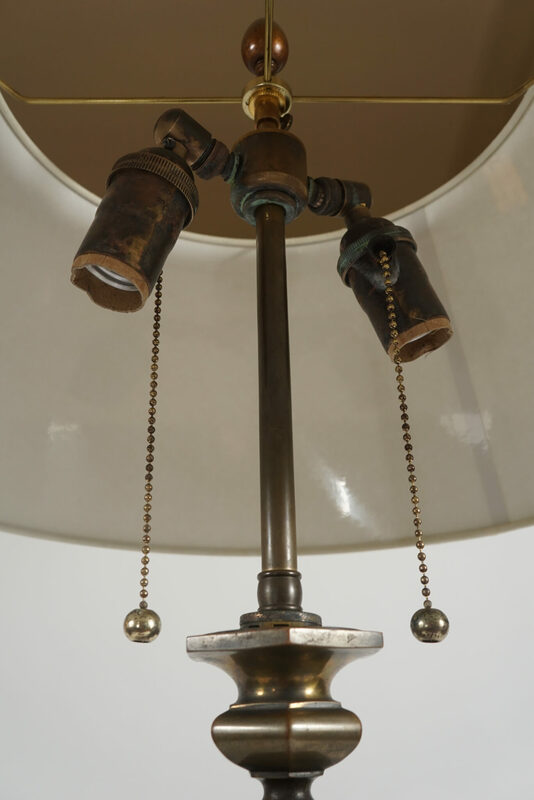 Originally a sinumbra lamp, converted to electricity in the early 20th century, and recently rewired for North American use. 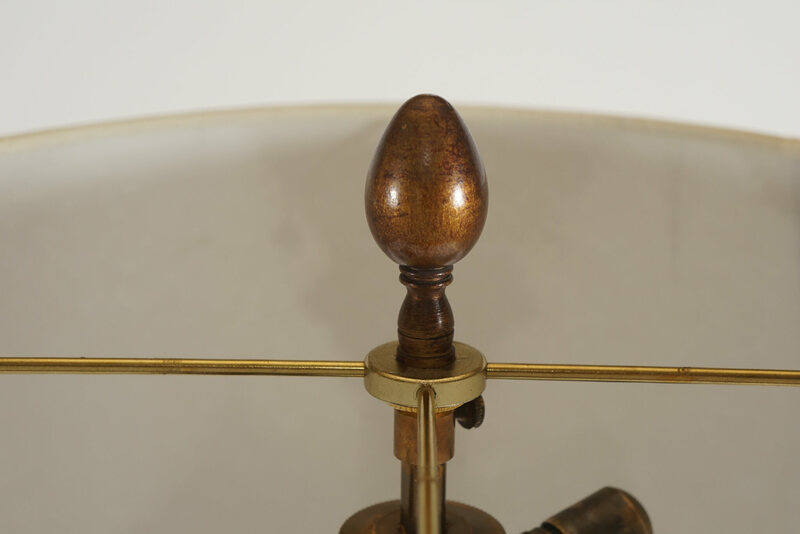 Marked internally "H.N.Hooper & Co. Boston". Hooper lighting is included in the permanent collection of many museums, most notably, the Metroplitan Museum of Art, New York. 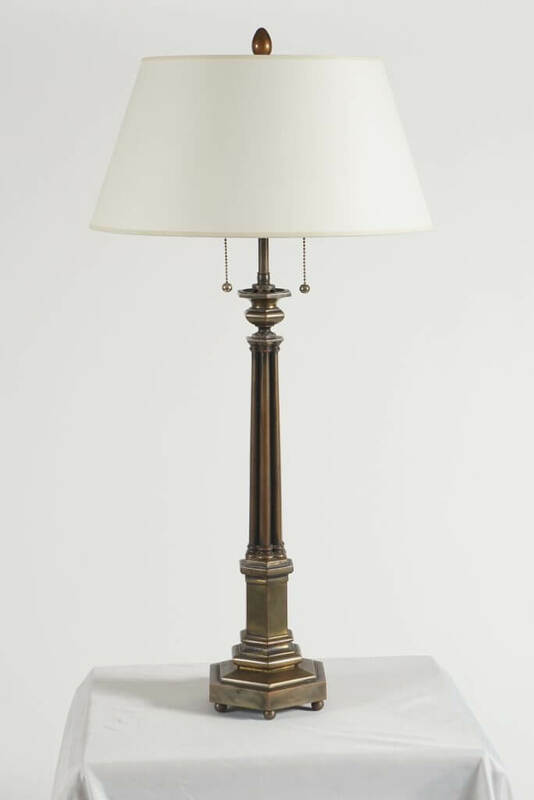 An elegant, circa 1840 solid bronze table lamp of hexagonal form with urn surmounting clustered column on stepped plinth base on ball feet by the Boston, Massachusetts firm of Henry N. Hooper & Company, a leading purveyor of lighting fixtures in mid-19th century Boston, active from 1831 to 1868. 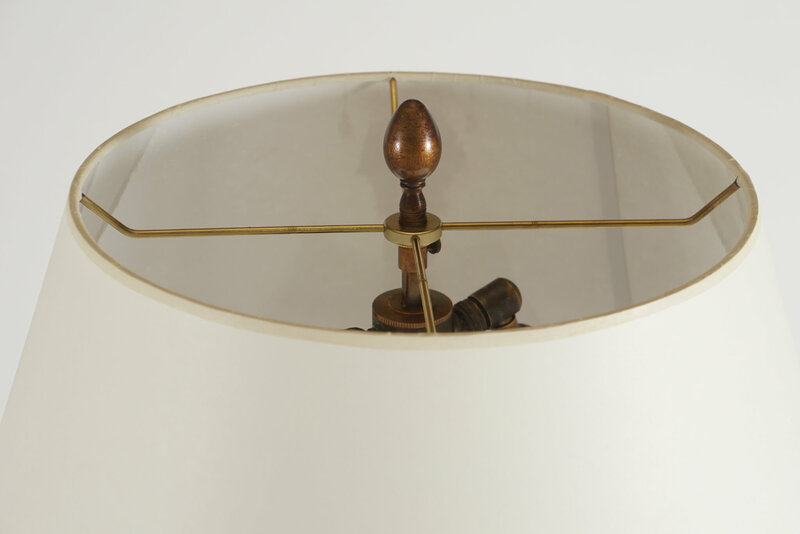 Originally a sinumbra lamp, converted to electricity in the early 20th century, and recently rewired for North American use. Marked internally “H.N.Hooper & Co. Boston”. 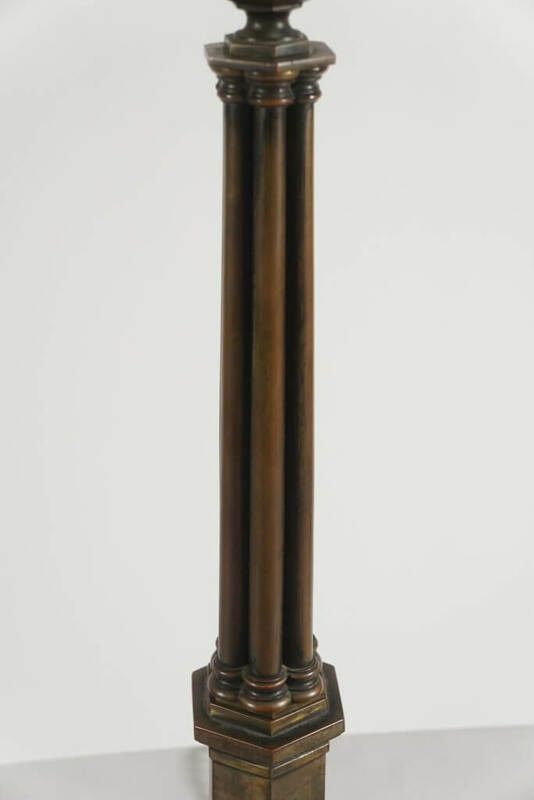 Hooper lighting is included in the permanent collection of many museums, most notably, the Metroplitan Museum of Art, New York.